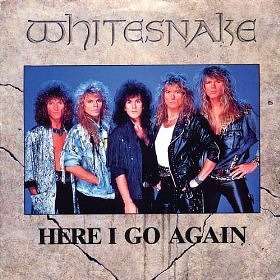 WHITESNAKE "HERE I GO AGAIN '87"
Firstly, I've now added a playlist of the band's six biggest hit songs, and all the video clips are official. Included are Here I Go Again '87, Is This Love, Still of The Night, Give Me All Your Love, Fool For Your Loving and Don't Break My Heart Again. Here I Go Again originally featured on the album Saints & Sinners and was released as a single in November 1982, peaking at #34 in the UK singles chart. The song was re-recorded by Whitesnake for their best-selling, self-titled studio album which went Platinum in the UK, 5x Platinum in Canada and 8x Platinum in the U.S. Here I Go Again '87 was the first single to be released from the album and reached #1 in the Billboard Hot 100, #1 in Canada and #9 in the UK. 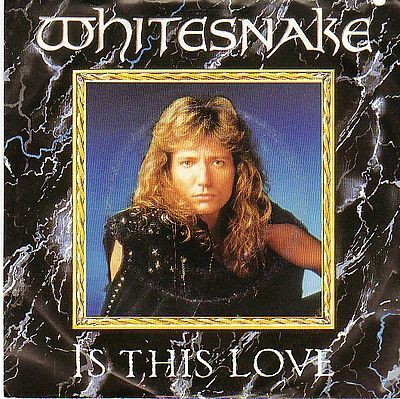 The rock band had three more hit singles from the album which were; Is This Love (#9 - UK), Still Of The Night (#16 - UK) and Give Me All Your Love (#18 - UK). This is sooooo much better than that remixed version which has way too much reverb for my liking! But that's the 80s for you. The producers did tend to get carried away with the reverb button on quite a number of 80s songs I could mention, which could lead to a slightly muddy sound. The classic 80s power ballad (which features in the playlist at the top of this page) was the second single released from the band's self-titled studio album and reached #9 in the UK and #2 on the billboard Hot 100. Two tracks featured on the B-side; Bad Boys and Standing In The Shadow.